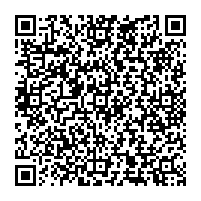 NTT DoCoMo To Develop Sound Based QR Codes | OhGizmo! By David Ponce on 04/18/06 • Leave a comment! Our Japanese cellular overlords recently announced development of acoustic OFDM (Orthogonal frequency-division multiplexing) technology. With this, it will be possible to embed data (URL’s, or text) in sound, which can then later be decoded by your cellphone. It’s possible to embed up to 100 characters a second, and the idea is that you could be at, say, the supermarket, and receive shopping information on specials, coupons, etc. directly to your mobile. Of course, it will be necessary for both the broadcaster and the cellphone to integrate the technology in order to be able to encode/decode. This sort of technology already exists for ultrasounds, but now regular speakers can be used.